Our pick of the best bubbles... with FREE delivery. Let's face it... everyone loves a bit of fizz! Anytime, any occassion, bubbles brings it all together. This tongue-tingling sparkling selection has got all the bases covered from Paolo's lip-smacking Prosecco, the Simpson's extra-special Beora Reserve and Patricio's perfectly-pink Malbec fizz. What's more satisfying than that unmistakable pop when you crack open a bottle? 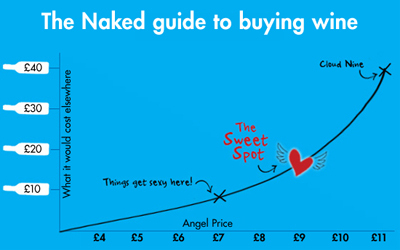 The delicious £60 saving you get as an Angel!